I had a bit of a chance to craft today so I jumped at the chance to play along with Pals Paper Arts 200th Challenge – Happy 200th PPA! 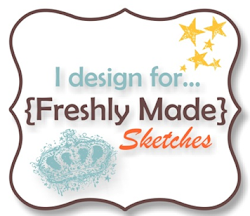 This week Margaret has designed this fab sketch and PPA has also given us a twist – to create a monochromatic card. So classy and elegant in B/W! Love the added distressing! Beautiful! Absolutely gorgeous!! I LOVE the black & white monochromatic choice!! Fabulous job!! Thank you for joining us at the Pals Paper Arts this week!!! I love it. Beautiful design and flowers. Stunning card with the black and white contrast. Thanks for playing with the PPA this week. 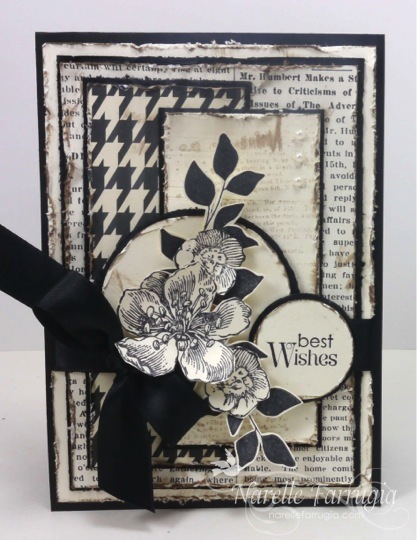 The black and white looks great Narelle – love the distressing too! Congratulations on being a PPA Pick this week too!